The hot new drink that everyone’s craving in 2016? It’s Aloe Water, believe it or not! With a number of alternatives already on the market (and more surely on the way), aloe water is rapidly becoming a supermarket staple that foodies and health nuts both crave. And that shouldn’t come as a surprise. After all; there’s a wide array of health benefits to consuming raw aloe—from improved nutrition and digestive health to glowing, radiant skin. But as we all know; processed foods and supermarket solutions often come with a whole host of unnecessary additives and fillers. So what’s really in the bottle? Many brands are adding sweeteners to offset the natural bitterness of the aloe juice. Luckily, most of them are using natural sweeteners like cane sugar, honey or stevia, but there’s still a whole lot of that sugar in each bottle. To be precise; just one cup of Jayone Aloe Drink contains 110 calories, 27 grams of carbohydrates, 26 grams of sugar and 25 milligrams of sodium. That’s almost an ounce of sugar in an eight-ounce serving. 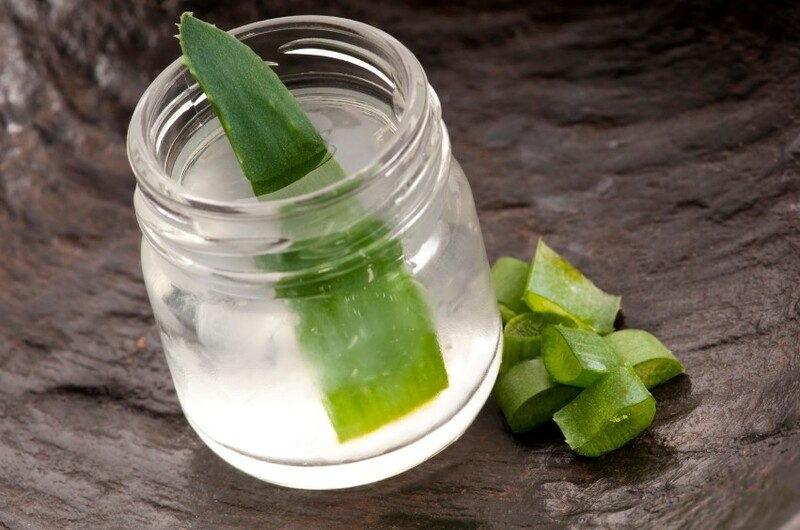 How about making your own fresh, homemade aloe juice in a matter of minutes? This method is the simplest and most effective way to get aloe’s medical benefits—but it’s also something of an “acquired” taste due to the natural bitterness of aloe gel. The first step is rendering the aloe, and there are two ways to do this. The first (and old-fashioned way) is to cut aloe leaves into one-inch segments, then add them to a pot of boiling water. Over a few minutes, the gel will render out and you can remove the leaves—taking the pot off the heat and allowing it to cool for about an hour. Pour the resulting pure aloe juice over some ice and enjoy! But what about adding a bit more flavor? Add the cucumber, apple and lemon juice to your blender with a few ounces of water, then blend until it has a smooth consistency. This recipe adds a touch of exotic flavor with the addition of coconut milk; which also helps improve the anti-bacterial qualities of the aloe! Add the pineapple, carrot and green apple to your blender with a few ounces of water, and blend vigorously. Serve chilled, with a garnish of your choice. Don’t forget to share with friends! Is there anything Aloe can’t do? Homemade is almost always better, and this is especially true when it comes to aloe juice/water. Sure; it can’t hurt to enjoy a little “over the counter” aloe water from time to time, but in order to enjoy the full spectrum of this succulent’s benefits, it’s best to prepare your juice fresh. Remember that like so many natural remedies, it can take some time for aloe’s benefits to really materialize. But it’s always well worth the effort. And don’t forget that since you’re dealing with more potent, homemade aloe juice (instead of aloe “water”) you’ll need to be careful not to ingest too much aloe. In larger quantities, it can be a potent laxative or even reduce the potassium levels in your body—so sip in moderation. If you’d rather take the guesswork—and the rest of the work—out of the whole process, just try AloeElite’s concentrated aloe supplements. Each capsule is packed with the Aloe Mucilaginous Polysaccharides that provide so many of aloe’s wonderful benefits, and for a limited time only you can save up to 33% on your next purchase!